NCS Auction to Benefit St. Jude is Live! 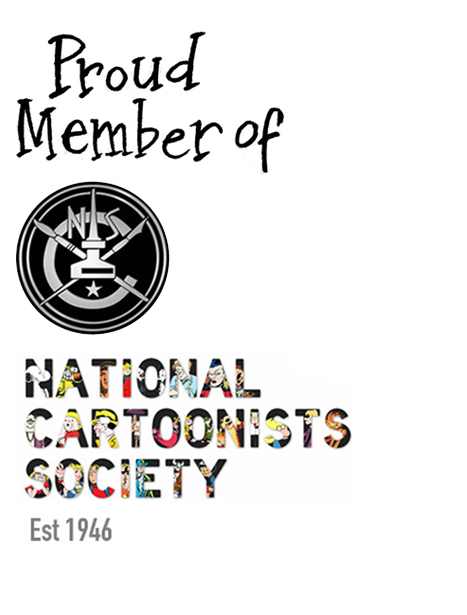 The National Cartoonists Society Foundation is sponsoring a live auction with Heritage Auctions to benefit St. Jude, and it’s going on RIGHT NOW!!! As part of the NCS Foundation’s “Cartooning For Kids” program, some of the biggest names in cartooning have donated pieces of original art for auction, with all proceeds going to benefit St Jude Children’s Research Hospital. It’s a chance for people to own a unique piece of original artwork … and help save and improve the lives of so many children in the process! Among those represented in the auction are: Patrick McDonnell, Lynn Johnston, Jerry Scott, Jim Borgman, Rick Kirkman, Ray Billingsley, Mort and Greg Walker, Mike Peters, Jeannie Schulz, Graham Nolan, Jerry Ordway, Steve McGarry, Rick Stromoski, Doug Mahnke, Lincoln Pierce, Eric Goldberg, Michael Ramirez, Bill Holbrook, Ann Telnaes, Sam Viviano, Greg Cravens, Robb Armstrong, Chance Browne, Greg Evans, Bil and Jeff Keane, Mike Luckovich, Maria Scrivan, Jack Pittman, Wayno, Tom Sito, Stephan Pastis, Dan DeCarlo & more! The pieces include the inked art from the NCSF St. Jude Fundraising Gala poster that promoted the event the NCSF did with St. Jude last May (pictured above). Done in pen/brush and ink on bristol with a few washes, the art measures 13.5″ x 21″, and features caricatures of 22 cartoonists and their famous creations- including yours truly! This is a link to the entire auction. There are a lot of great originals listed at bargain prices, and remember all the proceeds are going directly to St. Jude. But you’d better hurry, budding ends at 5:00 pm CT on Sunday Aug 7th.